Teletype van used by 2. (DA) Signal Battalion from 1985 to 2001 when the battalion was closed. The van carried 2 telex-machines which were encrypted with TSEC/KW-7 equipment. The power was supplied by a Briggs & Stratton generator which was transported in a 1/4 ton DAN ST-350 trailer (partly visible in the left lower corner of the picture). 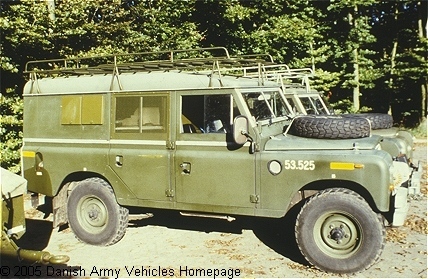 The battalion had 2 such vehicles. The 109 had an electric Warn winch at the front.